Chester the cat begins to notice something odd about his family's new pet rabbit. Fangs, capelike markings and a nocturnal disposition harden Chester's conviction: The sweet baby bunny is actually a vampire. 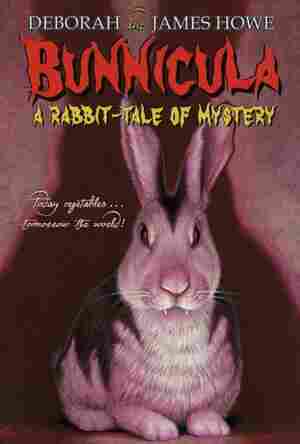 James Howe's creepy, furry tale is illustrated by Alan Daniel. The editor of The Review of Applied Ethics and an irrepressibly curious lover of puzzles, Isabel Dalhousie decides to investigate when she witnesses the fatal fall of a young man and discovers that he had been probing misdeeds at his brokerage firm, in the first in a new series by the creator of The No. 1 Ladies' Detective Agency. 100,000 first printing. Working in Gaborone, Botswana, Precious Ramotswe investigates several local mysteries, including a search for a missing boy and the case of the clinic doctor with different personalities for different days of the week. Tired of her responsibilities as the Bellman in Jurisfiction, literary sleuth Thursday Next packs up her son, Friday, to return to Swindon, accompanied by the Danish prince Hamlet, only to find herself coping with outlaw fictioneer Yorrick Kaine. When a murderer ends the lives of Edward and Paige Norbois and their four children, sheriff Hugh DeWitt, still grieving over the tragic death of his infant son, investigates the husband's extramarital affair, a thieving business partner, and the killer's possible motives. By the author of Ordinary People. 75,000 first printing. When a man who fled the 1965 Watts riots is suspected of killing a woman in a nearby apartment building, Easy Rawlins begins a murder investigation and learns that the case has sobering racial origins. Traces the events that surrounded the 1984 murder of a woman and her child by fundamentalist Mormons Ron and Dan Lafferty, exploring the belief systems and traditions, including polygamy, that mark the faith's most extreme factions and what their practices reflect about the nature of religion in America. 500,000 first printing.